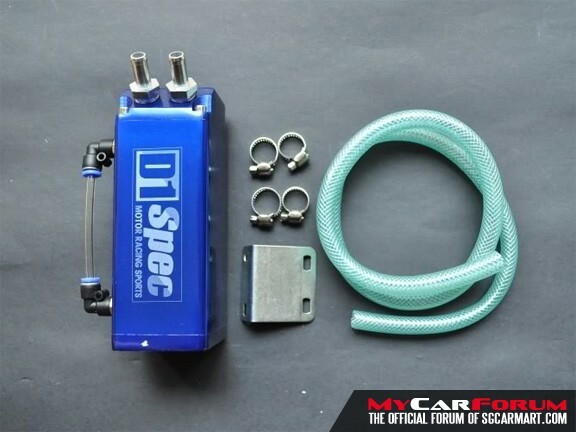 BRAND NEW set of D1 Spec Oil Catch Tank! 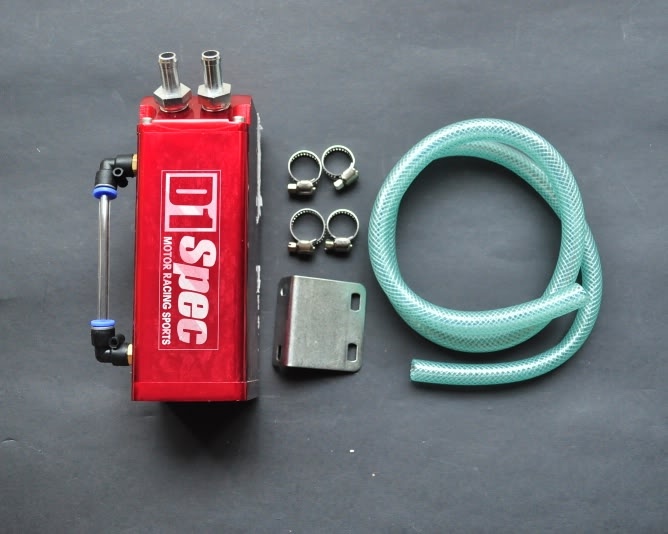 D1 Spec Racing Oil Catch Tank is made of light-weight 6061-T6 Billet Aluminum. Engines are prone to accumulation of an oil sludge mixture forming inside the intake tract due to crankcase pressure and inefficient combustion. 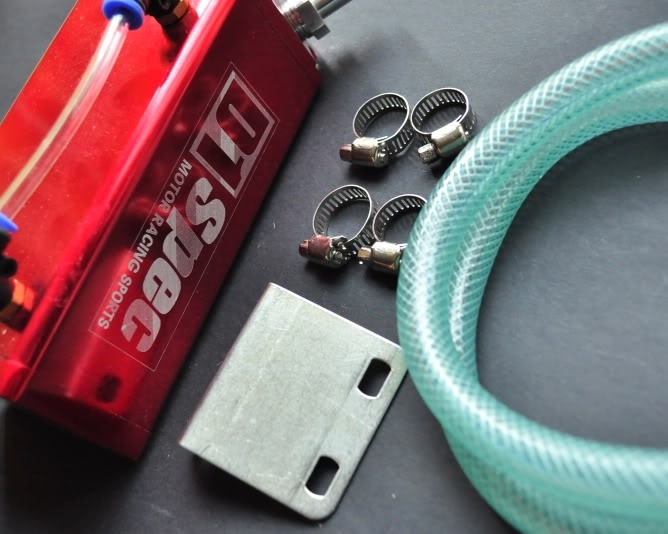 Although it is normal to have oil in the intake tract, it can reduce engine performance. Oil catch tank will hold this oily contraction by removing it from suspension within the air intake stream. By doing so, horsepower is the increase by eliminating the engine’s current requirement to try and burn this non-combustible oil. 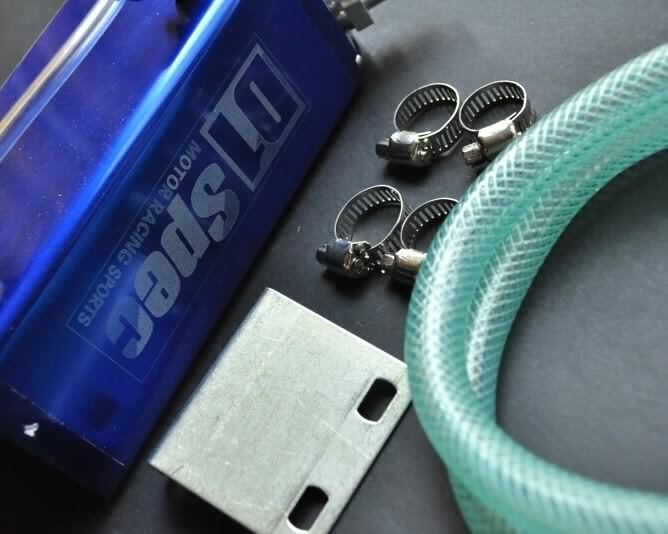 This oil catch tank comes complete with all necessary hardware and its easy to install. I am interested in the "D1 Spec Oil Catch Tank".